The district of Sangrur was formed in 1948. The name of the district from its headquarters, Sangrur, said to be have founded by one Sanghu, a Jat, about 400 years back. 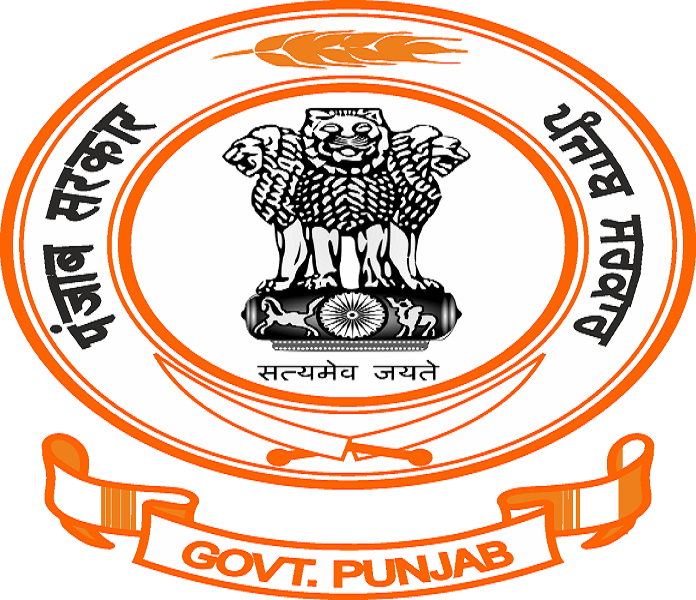 The Sangrur District as of today comprises parts of a few erstwhile distinct administrative units, the Philkian States if Jind, Nabha and Patiala: the Mohammadan State of Malerkotla; and some parts of then district of Ludhiana. It is interesting to note that Sangrur itself was earlier a part of Nabha State. History of the district is, therefore, complicated, although it is traceable through its various components. In brief, history of the district is given as under. It lies about 6 Km From Mandi Ahmadgarh and about 13 km from Malerkotla. It is situated along the line of depression which follows the ancient course of river Saituj. It is worthwhile to mention here that it was near Rohira that thousanids of Sikhs were massacred by Ahmad Shah Abdali in a great holocaust known as Wada Ghallugghara, in 1762. Recently, an exiting discovery of a pre-Harappan settlement – a pre-cursor of ‘the Indus Valley of Harappan civilisation has bcen made at an ancient mound at Ruhira which has now emerged as tJie second important pre-Harappan site in. India. Kalibaugan in the Sriganganagar area of Rajasthan was the first site to reveal an important pre-Harappan settlement after 10 years of continuous excavation, Experts believe that from the Kalibangan area, pre-Harappan people started moving in the northern or northern -eastern direction along some of the streams which have now dried up. The ancient water courses are marked by ranges of sand dunes. The different stages of this movement towards the Satluj have remained uninvestigated so far. The mound is 10 metres above the surrounding fields, Originally it cuveredl an area of more than 30 acres. However, onJy 15 acres of it is now left, the rest having been brought under cultivation. Out of this, an area of 900 sq. meters has been taken up for excavation. The earliest settlement at the site is believed to have begun around 2,300 B.C Attracted by the fertile soil and availability of water, people from Sind and Baluchistan started moving and following the path of the Satluj or the Ghagger settled at Rohira. They started living in thatched huts on the virgin soil, Before long they started building houses of sub-dried bricks. The houses were well laid out and were fairly spacious. A large number of beads of terra-cotta, carnelian agate, bangle pieces of terra-cotta and bone styluses discovered there testify to the prosperity of the region and its trade relations with distant lands. Houses of bead makers with a large number of finished and unfinished beads and two copper chisels have been recovered. These finds point to the advanced technology of the Copper-Bronze age. Certain finds of gold beads, attest to the prosperity of the people. They used fine, well baked pots, jars and troughs. Clay figurines of bull, terra-cotta. and idli-shaped cakes have been found in abundance. A well made of hated bricks has also been discovered. At least five phases of house construction have been found. The most notable find is a terra-cotta seal depicting a mythological scene of ritual killing.The site was possibly desires by 1700 B.C and the newcomers ‘Bara foJks1 (named after Bara site near Ropar), occupied it. The use; of culture pots, vessels and water jars gave a distinctive character to this culture. The use of com bins is a typical feature of this area. The new people wluo made Rohira their abode from 1100 to 500 B.C. used the painted grey ware. They were- followed by people who used black ware (600 to 200 B.C.). Even though thcir regular habitation has not been found in the area under excavation, surface explorations and pits dug in the area indicate their presence at the site. There is evident of Sunga-Kushan porttery. The area around the east has structures typical of Kushan bricks with finger marks. Some tcrra-cotta figurines including one of mother goddess, a few small coins of Indo-Pcrthian King Gondo Pharnese (first century A.D.) arid Iate Kusban coins have also been discovered, Since thc area of Sangrur lies in close proximity to the must known battlefield of Kurukshetra of epic times, there is the least doubt of its having been under the influence of vedic culture it must have been a settlement of the Aryans. The Rigwedaa is the earliest literary record of the socio-cultural development and affords us the First glimpse of the life of its people. The most important god of the Vedic period indra. A thorough analysis of the character of various Vedic gods reflects the heroic character of the Aryan Society. The heroic society of the Vedic period was tribal in character. The ideal of the hero is laid down in the Mahabharta: ‘:Fame is all that one should acquire here. That fame can be acquired by battle and by no other means.” The ashramas of teachers and sages in forests were their military academies humming and throbbing with the activities of young athletes and cadets. Further, the Mahabharata contains profuse and useful information on various aspects of the political and socio-culture life of the land. From the scrutiny ofihe Mahabharta, it is presumed that Yaudheyas, a martial tribe occupied the present area of Sangrur along with the allied tarritories in the proximity of Kurukshetra.. Yaudheyas were a gena community who were famous for their valour. Their coins have been found mostly in tlhe eastern Punjab and in the region between the Satluj and Yamuna. The area of present Sangrur Distrct alongwith adjoining areas came under the Maurya Dyansty in B.C. 322. It was Chandragupta Maurya who established Maurya Dynasty After overthrowing the Nandas. This area also enjoyed the blessings of the Gupta administration from the beginning of the 4th Century to the end of the 6th Century, Because of the efficient administration, Gupta era haa been known as the Golden age of Hindu period Chandragupta Vikramditya was the most famous king of the Gupta Dynasty. In the beginning of the 7th Century, Prabhakara Vardhana ruled over this area whose capital was at Thenesar. not far from the present area of Sangrur District, His brother Harsha Vardhana who rcduced anarchy to order in Northern India, and reigned for forty-one years, from AD 606-47. However, later on, Harsha Vardhana shifted his capital From Thanesar to Kanauj, because of the extension of the territory of the empire. Early in the 8th Century, Thanesar ceased to exist and another line of kings, Tomar Rajputs, established itself in the South East Punjab. After about a century, the Tomars were supplanted by the Chauhans of Ajmer.